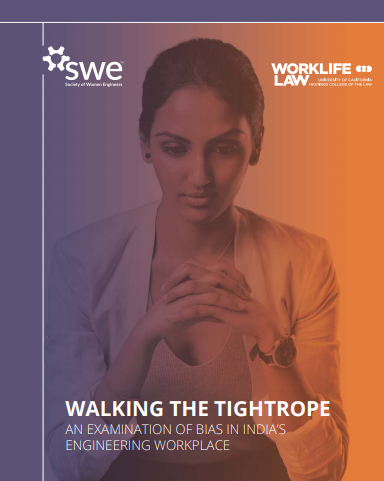 Carried out by a team of scholars led by Joan C Williams, distinguished professor of law, Hastings Foundation Chair Director of the Center for WorkLife Law, University of California, Hastings College of the Law, the study also found that 45% women as against 30% of men “reported feeling pressured to play submissive roles at work”. Classifying bias in four categories, the study found that 76% of engineers reported having to prove themselves over and over to get the same level of respect as their colleagues; 77% of engineers reported that they were confined to a narrower range of acceptable behaviours than their colleagues; 40% of engineers in India reported bias against mothers in their workplaces; and 45% of women reported that they have to compete with their female colleagues to get the one “woman’s spot” available. 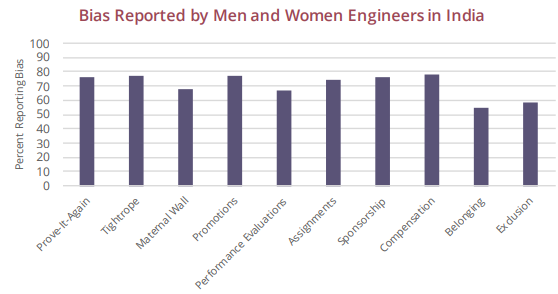 According to the study, “the climate for women engineering students in India” has become positive, with “only 8% of women students reported that they sometimes felt left out in their academic setting”.